Your apartment is located in Bilin Dolac, around 1km from the ancient town of Trogir. 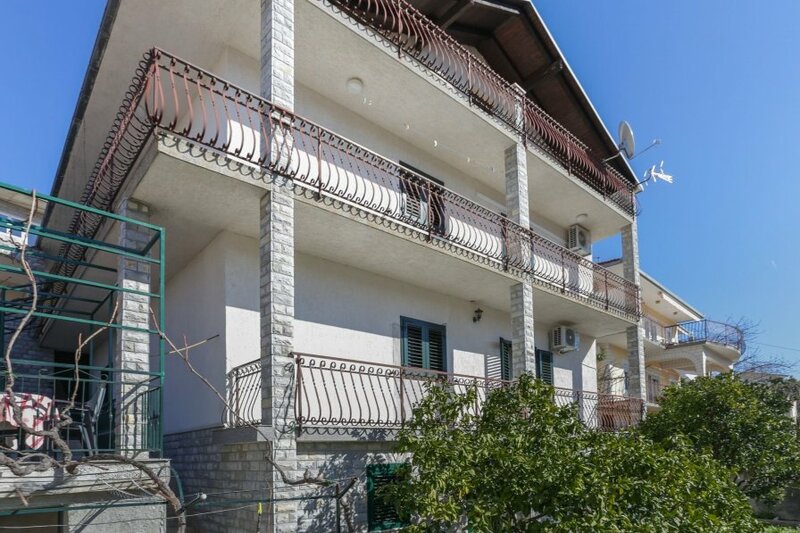 Bilin Dolac is part of the Ciovo island and is within walking distance to the city center and nearby beaches. Spacious 200m accomodation consists of 2 fully equipped appartments and offers a total of 6 bedrooms (each equipped with a double bed), two spacious living/dining areas (both having a direct access to the balcony), two fully equipped open plan kitchens and two modern bathrooms which both include a washing machine. Parking spots are provided for the guests and wi fi connection is free, as well as airconditioning.